Our mission is to enhance the quality of life for people of all abilities through empowerment, education, awareness, and movement to globally eliminate sexual violence. We provide classes, workshops, and retreats that empower children and adults with and without disabilities. For the past 20 years, Katie has worked with children and adults, both with and without disabilities. Her mission is to help people improve their quality of life. In her 12 years working as a school teacher in Saint Paul Public Schools, her most rewarding work was helping children reach their fullest potential, whether helping a child join Special Olympics or teaching a student mindfulness techniques to use at home. Katie started using Yoga Calm in her own life because she knew she needed to breathe and be more centered as a teacher. When she began using Yoga Calm in her classroom, she saw fewer behavioral issues and calmer kids. She realized she wanted to spend more of her life helping students in more schools reach this space. Since 2007 Katie has been implementing yoga-based interventions and mindfulness for people with disabilities. She has her Teaching License in Health Education, and Special Education K – 12, as well as her MA in Education: Developmental Disabilities and worked as a teacher for Saint Paul Public Schools for 12 years. She received her RYT-200 training through Devanadi Yoga in Minneapolis and Yoga Calm Ⓡ training with 1000 Petals in Saint Paul. 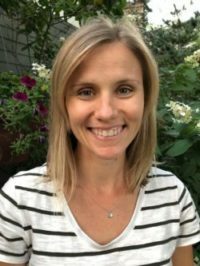 In addition to teaching her Power of Me curriculum, Katie has done extensive curriculum writing and relationship work with nonprofits like Highland Friendship Club, Lifeworks, Upstream Arts, and Special Olympics MN. She has developed curricula and courses for these organizations on the topics of healthy relationships and sexuality education, incorporating mindfulness activities and yoga. Anna wholeheartedly supports Mad Hatter Wellness’ mission to enhance the lives of children and adults with and without disabilities through yoga and wellness by supporting their social, emotional, and physical awareness. She is honored to be working for Katie and Mad Hatter Wellness as an Administrative Assistant and Instructor. Anna has been practicing and teaching yoga to adults and children for several years. 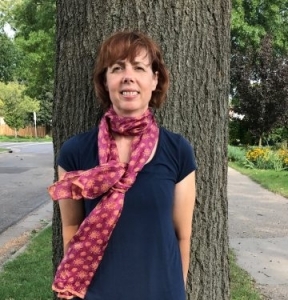 After spending 7 years teaching English Language Learners in schools in the Apple Valley/Eagan/Rosemount School District, she embarked on a new adventure by taking a leave from classroom teaching to focus her work on yoga and wellness. She is a 200 Hour Certified Yoga Teacher, as well as a Certified Yoga Calm Youth Instructor. Additionally, she is certified to teach K-12 ESL and Spanish. Anna feels so honored every time she has the opportunity to empower people of all ages, backgrounds and abilities to connect to their breath, body and community. She is especially passionate about bringing this work to communities who have limited access to wellness opportunities. Leah has been a special education teacher for 12+ years. 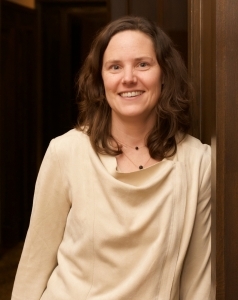 She currently teaches at Northwest Passage High School, a project based learning school with an emphasis on expeditions. 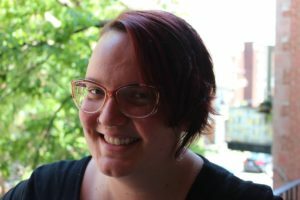 Leah has a teaching certificate in sexuality education and has taught sexuality education to students in special education for the past 8 years. She feels very strongly that all students need to know how to give consent, understand their rights and have opportunities for healthy relationships. Leah also has an extensive background in wilderness travel, urban expeditions and summer camp. Team building, self advocacy and body positivity are three areas that Leah feels very passionate about and has lots of experience teaching. Leah is honored to be a part of such an amazing organization that offers services, support and skills to people who need it the most. Leah uses a lot of mindfulness practices in her own life and is excited to share these practices with others. Leah loves reading YA fiction, exploring and listening to Prince music. Katie & Colleen studied in the same circles; yet gratefully came to meet by timing coincidence at Tula Yoga Wellness. Yoga is for everybody; Collen was inspired by Katie’s spark to bring this truth to the communities of people with disabilities. She wanted to be a part of it. What makes her excited about this work is the invitation to see wholeness everywhere. Her skill set as a parent, massage & yoga therapist supports a playful, grounding & nurturing presence towards the mission of Mad Hatter Wellness. 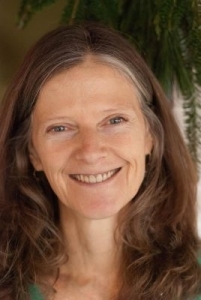 Colleen’s studies and certifications include 200 Hour Kripalu Yoga Teaching Certification, Massage Therapy certifications in Thai Yoga Bodywork, Neuromuscular Therapy and Cranial Sacral Therapy, Mindfulness Studies with Therese Jacobs Stewart, Restorative Yoga Certification, 500 Hour Yoga Teaching Certification from Devanadi Yoga, 300 Hour Thai Yoga Bodywork Certification, 1000 hour Yoga Therapy Training from Yoga North International SomaYoga Institute and is an Ayurveda Yoga Specialist. Anna has been practicing yoga off and on for over 20 years. Her life has included a variety of experiences with children, including elementary classroom teaching and teaching preschool with 3-year olds for the past twelve years, and involvement as a parent and volunteer in schools. Anna finds that yoga practice connects our breath and movement in ways that open wonder to life, and she enjoys sharing these experiences with others in whatever ways each person is able. She is a 200 Hour Certified Yoga Teacher through her training at Bliss Yoga Studio, where she first experienced the restorative yoga she now teaches. She is beginning the process for instructor certification in Yoga Calm®, and looks forward to sharing the gifts that yoga brings to both children and adults in community through physical and emotional well-being. Ann Griffin has been practicing yoga for 11 years. After her first yoga class, she immediately began sharing yoga with her kindergarten students. 5 year olds are natural yogis! Shortly after she saw the difference yoga made in the lives of young children, she began her 200 RYT training through Inspiring Actions. Ann has also taken trainings with Global Family Yoga, ChildLight Yoga, and Yoga Calm. She recently finished her Yoga Calm certification. In 2012, Ann began teaching kids yoga at Blooma Studios. She practices Yoga Calm with her first-grade students every day in a St. Paul Public School. Ann embraces the Yoga Calm tenets of combining the physical movement with mindfulness and social/emotional learning. She firmly believes that the world would be a better place if everyone began a yoga practice in elementary school. 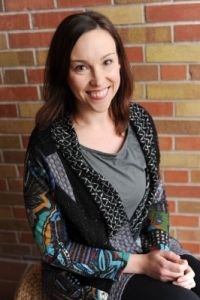 Jacqui began her elementary teaching career in 2005 and began practicing yoga in 2009. During challenging moments in the classroom, Jacqui noticed herself pausing to take deep breaths, stretch, or just “be”. Amazed at how incorporating small bits of mindfulness into the school day affected her mood, Jacqui began practicing yoga (at first selfishly) with her students. She has been thrilled to see the fun, strength, and confidence children take on while encouraged to move their bodies in a space that sometimes requires them to be still. And, consequently, the positive impact it has on their academics and social relationships. Jacqui holds her MN Elementary Education teaching certificate and K-12 Reading License. She has also participated in Yoga Calm and Conscious Discipline training. She is looking forward to being a member of the Mad Hatter Wellness community and connecting with kids through The Power of Me. When she’s not practicing yoga, you can find Jacqui enjoying the lakes, spending time with her family or reading a good book. Her favorite yoga pose is half pigeon! Rachel has had a desire to work with children since her teenage years. Throughout high school and college, rachel babysat and nannied, which eventually turned into a love for teaching. Starting in college, she has been a teacher in Jamaica, Kenya, Vietnam and St. Paul. Since college she has practiced yoga and upon returning to St. Paul from Vietnam she found YogaCalm and knew that she had found her passion. Working with Katie and Mad Hatter Wellness has been more than a dream come true – it’s been a path very exciting to embark upon! 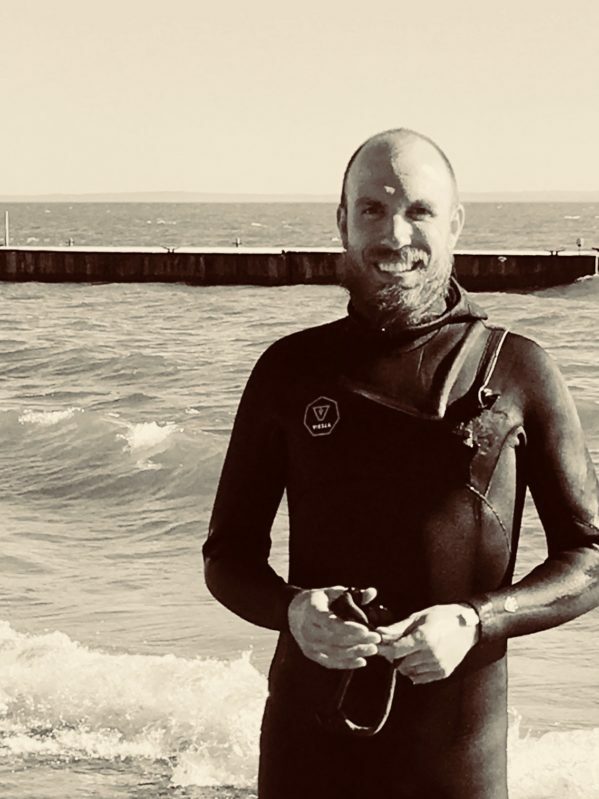 Peter Cozine is a Special Education Teacher, Wilderness Guide, and Outdoor Enthusiast who enjoys helping others ignite their passion for the outdoors. Peter has guided backpacking trips for groups of young adults with Autism and believes that movement in nature is essential for healthy human development. Peter enjoys cycling, hiking, and skiing with his family. Ben Swarts is the creator and owner of HardShell Fitness, an inclusive gym in South Minneapolis. 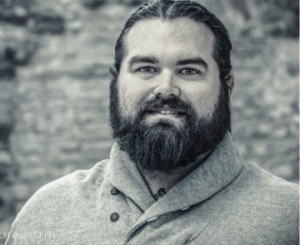 He also is the Manager of Wellness Initiatives at Special Olympics Minnesota, as well as the head coach of a Special Olympics Powerlifting team. 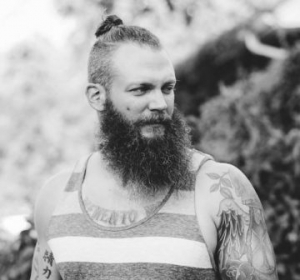 He is a martial artist, teacher, powerlifter, kettlebell instructor, and gardener. The theme that runs through all of his life is passion around inclusion and giving people the tools and spaces to become their best selves. Dusty Thune teaches Special Education in the St. Paul Public Schools, specifically classes for improving self-advocacy and empowerment. He is an artist, award winning film-maker, writer, costume designer, adventurer, and snow sculptor. Katie Thune has had over 20 years experience working with students with and without disabilities. Since 2007, she has worked with yoga-based interventions and mindfulness for people with disabilities. She has her Teaching License in Health Education, and Special Education K-12, as well as her MA in Education: Developmental Disabilities. We're always adding new courses and content. Sign up to stay informed!